Devein prawns, leave head and shell on. Drain dry. 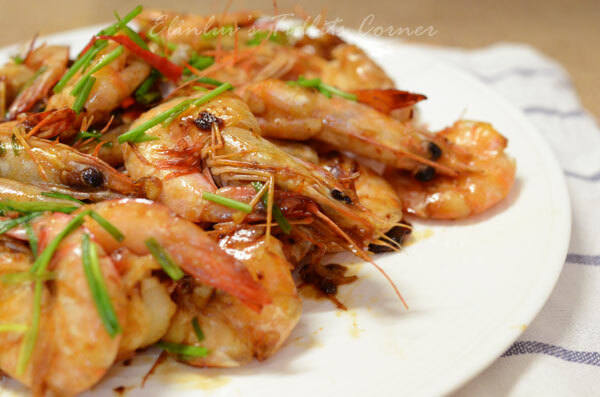 Season the prawns with salt and coat with corn flour. Keep aside. Heat up 1.5 tbsp of oil in a non stick pan under high heat. 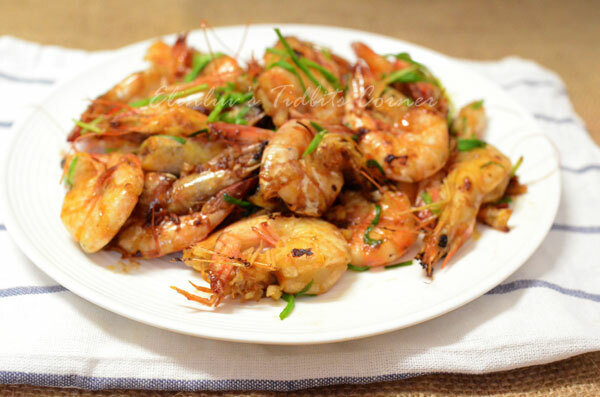 Once the oil is hot, put in the prawns and pan fried till they turned orangey red and the shells start to turn crispy, pour 1.5 tbsp of soy sauce over the very hot fried prawns to give it an added sizzle, add in spring onions and cut chilli . Give it the prawns a quick stir fry before dishing up. 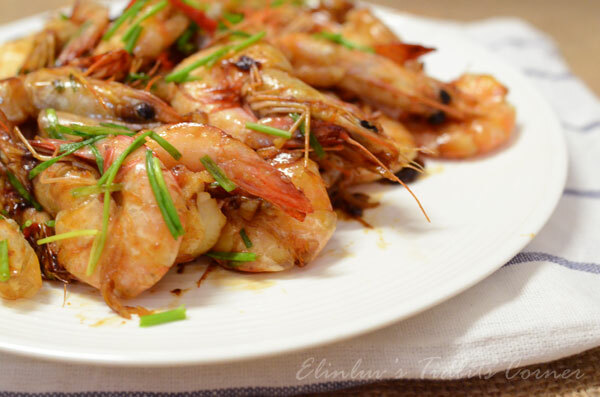 Very fuss-free dish and yet, so delicious! It's our favourite too!